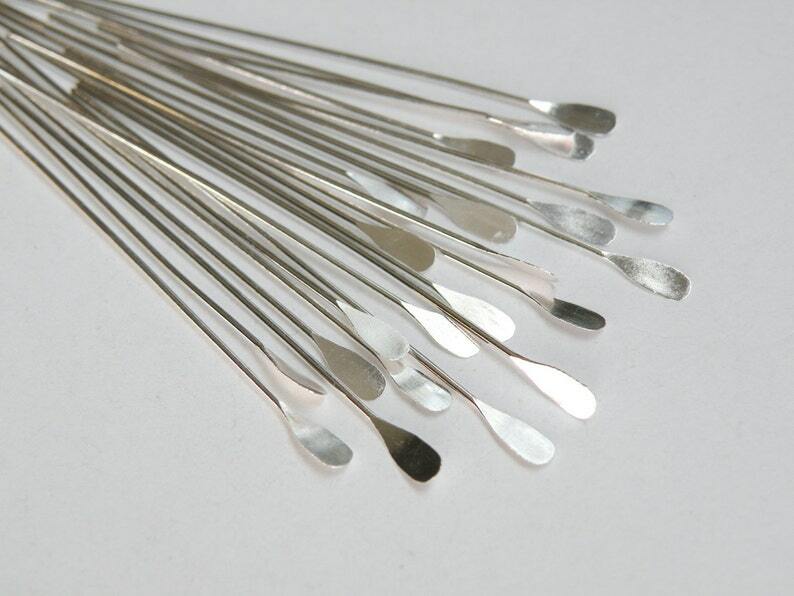 Shiny silver plated brass head pins with round paddle head 2" or 51mm 22 gauge. Make your earrings shine! Also available in shiny gold, shiny gunmetal, and antique bronze - just search my shop for paddle. Love the hard-to-find shape of these headpins. Great color selection at great prices. I’ll definitely buy again! Great looking head pins & speedy delivery! Thank you! The 10% off next purchase was pretty cool too! First time I use these and they really made my earrings pop. Will be ordering more. Fast shipping! Happy with items and will shop here again!